Is It a Good Idea to Arbitrate My Lemon Law Claim? If you’ve been having chronic problems with a new car purchased in California, you may be considering filing a Lemon Law claim and seeking a buyback of your vehicle. The manufacturer will almost certainly try to convince you to arbitrate your claim rather than file a claim in court. The arbitration process may sound good on paper, but there’s a reason that manufacturers favor arbitration, and it isn’t because they’re in a hurry to get you justice. Read on to learn why arbitration of a Lemon Law claim favors the manufacturers of defective vehicles, and contact a California Lemon Law attorney with any additional questions. Manufacturers will try to convince you that it’s a good idea to arbitrate your dispute since the process is cheaper for you than going to court with your claim. What the manufacturer isn’t telling you is that most California consumers don’t pay to bring their claims in court. Under the California Civil Code, when car buyers are successful in bringing a Lemon Law claim against their car’s manufacturer, the manufacturer is obligated to pay their legal fees, court costs, and other expenses associated with bringing the case. Additionally, most attorneys who specialize in California Lemon Law claims take their cases on contingency. This means the attorneys only get paid once they win your claim on your behalf and receive their fees from the manufacturer. Manufacturers also tout the speed of the arbitration process, as compared to the time it takes to file a claim in court. While arbitration does take less time, it rarely results in as substantial an award for consumers as a claim filed in court. Consumers have a right to accept or reject an arbitrator’s award, but this means that consumers who receive a bad result in arbitration will be stuck fighting for the money they’re owed even longer by having to file a court case after the arbitration is concluded. Finally, manufacturers assert that arbitration is a completely neutral process. Arbitration was designed to be neutral, but, in reality, the process rarely grants claimants a fair chance to recover for their losses after purchasing a defective vehicle. Specifically, the rules of discovery that apply in arbitration make it harder for claimants to win in arbitration than in court. 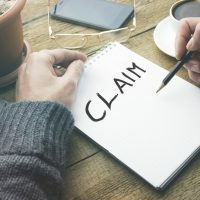 When claimants go to court, they can force manufacturers to turn over documents, witnesses, and other evidence relevant to their claims, but in arbitration, claimants have a weaker right to demand these forms of proof. Since claimants carry the burden of proving their claims and manufacturers need only poke holes in a claimant’s case, this makes it more difficult for claimants to succeed in arbitration. If your new vehicle has had serious mechanical issues and spends more time in an auto mechanic’s lot than on the road, find out if you’re eligible to file a California Lemon Law claim to receive money damages for your faulty vehicle by contacting the experienced and determined California Lemon Law attorney Nick Nita for a consultation, at 213-232-5055. Buying a new or used car is an emotional experience. There is the thrill and excitement of getting a new car, the satisfaction and pride of ownership after completing a major business transaction, the fear of committing so much money to one purchase, and the worry about whether or not you are getting a “good deal.” All of these emotions are quickly replaced with frustration and anger when you begin to realize that you bought a lemon – a car with substantial defects or malfunctions which cannot seem to be corrected. Nick Nita is the founder and principal attorney of the Nita Lemon Law Firm, where he practices exclusively in the areas of California lemon law and automobile fraud statewide. Since 2003, Mr. Nita has personally handled over 10,000 cases of lemon law and dealer fraud, amassing a wealth of experience likely unmatched anywhere in the state. Mr. Nita personally handles all aspects of the case from start to finish, quickly assessing a client’s claim and achieving a positive resolution as speedily, efficiently and satisfactorily as possible. Had an amazing experience with this Law firm.. most of the time I spoke with Abraham he was very helpful through the whole process even after they had won the case he was still very helpful answering questions we still had.. thank you for everything. I called them and they told me to send them all my documents and they will tell me if I had a case or not. Once they reviewed what I sent them they told me I had a case and just had to sign documents to start all the process. The whole process was so easy, I got my check in exactly two months. Nick Nita did an amazing job and got me back the money I spent on my Cadillac XTS. After reviewing the repair invoices, Nick got it done. I was told by three other attorneys that there was no case. Thank you Nick! His contract was straight forward and there were no hidden or minimum fees. I am extremely satisfied with the services I received from Nick Nita and his staff and recommend them without reservations. Nick was extremely professional and very responsive throughout the whole time he worked on my case and advised me on things I never even knew about, which had the effect of relieving my stress as I knew I was in very professional and capable hands. Thank goodness for this company! I had a 2013 Nissan Sentry SR which had a transmission failure at 25k miles, so my car was put under the lemon law. I had many other problems with the car, thought I couldn't do much with it, I was wrong! © 2017 - 2019 Nita Lemon Law Firm. All rights reserved.